Grant Baciocco has an odd collection of Country Bear Jamboree merchandise and now he’s going to share it with the world with the Country Bear Collector Show! 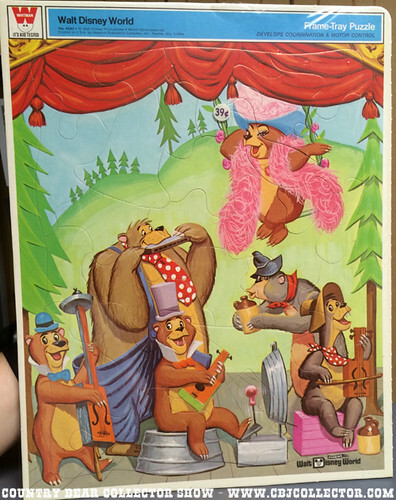 This week Grant Baciocco reviews a vintage puzzle from the late 1970s, early 1980s featuring characters from Walt Disney’s Country Bear Jamboree: Henry, Zeb, Teddi Berra, Fred, Tennessee, Ernest. Grant gives his Paw Rating, letting you know how cool this item is and if it is worthy of your Country Bear collection! Vintage Western Walt Disney World Country Bear Jamboree Frame-Tray Puzzle bought off eBay.